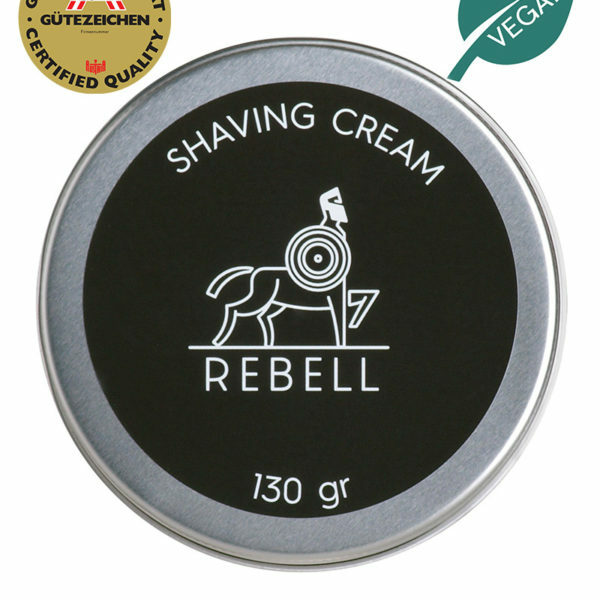 Ideal for a soft shave and also anti-inflammatory due to the balloon plant extract. The natural barrier-function of the skin is effectively regenerated. Even allergic reaction can be mellowed by the use of its natural ingredient hydrocortisone-substitute. 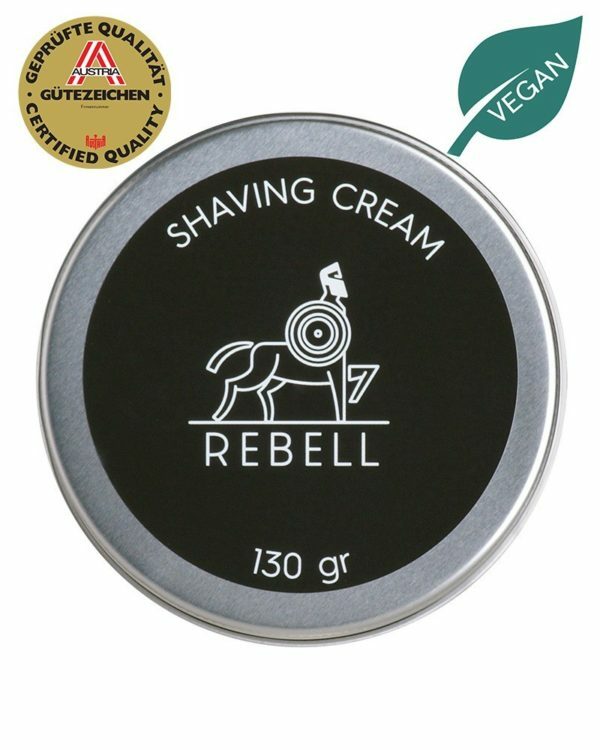 All Rebel products are free from animal based ingredients, nitrates, aluminum, PEG substances, fluorides, petrochemicals, silicones and parabens. The main note is as green and fresh as the forest-air, furnished with the mysterious herbaceous scent of absinth. The heart note are cape jasmine and wild rose. As a base, the strong and spicy ambergris note is finely combined with light, white musk. The new unisex-line pays special attention to anti-inflammatory and regenerating ingredients. Balloon Plant Extract: The balloon plant extract is rich in precious phytosterol and works as a great natural substitute for hydrocortisone, by being known for its anti-inflammatory effect. The laboratory results detected a much milder allergic reaction. Black Current-Seed-Oil: Rich in omega-3 fatty acids, such as linolenic- and stearidonic acid, which prove to strengthen the barrier-function of the skin and dam inflammatory reaction. Avocado-Oil: Known for its sensational anti-aging-effect in the natural cosmetics, it consists of a high concentration of precious lipids, which contain vitamin A and vitamin E. It contributes to a healthy complexion and stimulated the cell-regeneration. One of the main ingredients, coconut oil contains a lot of calcium, magnesium, potassium and vitamins. It strengthens the skin and has antibacterial effects. Thus, it perfectly supports the skin’s barrier. The vegetable based glycerin stabilizes the skin barrier, moisturizes it and gives your skin elasticity. Wash your face and neck with hot water. Use your hands or a shaving brush to work the shaving cream into a lather and apply it to your face. Let the lather rest for one or two minutes. Then glide a sharp razor across the skin to shave (applying pressure is not necessary). Afterwards, rinse your face with some fresh and cold water. Fo an extra smooth feeling, apply an aftershave.